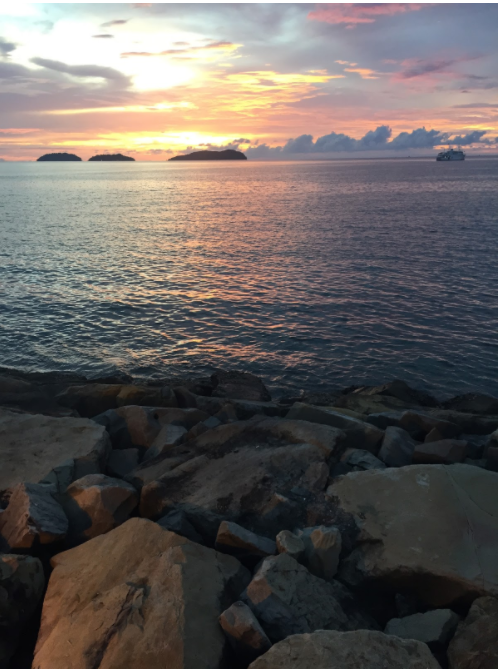 The Callahan Consulting team recently returned from the annual EARCOS teacher conference in Kota Kinabalu, Malaysia. Teachers from across East Asia were in attendance to learn more about what’s new in STEM education. Our team presented during six of the sessions (including 2 repeats) on the topics of Writing in Mathematics, Mathematics Assessments, The Pitfalls and Perils of Tracking and Acceleration, and Making Middle School Math Meaningful. Our goal was for the participants at our sessions to walk away with new ideas and profound things to think about. The best part was that they did the same for us. People in the US often make assumptions about international schools overseas. With the highest PISA scores coming out of countries like Singapore and Hong Kong, it would appear that they’ve got it all figured out. International schools are unique in that they serve a population of students that come from all over the world and will eventually graduate and attend college/university in countries from Australia, to Germany, to the United States. The enormous diversity of languages spoken, mathematical abilities, and academic needs require international schools and their teachers to constantly differentiate their instruction and offer a variety of programs to support all students. Our biggest take-away from attending and presenting at EARCOS is that many of the issues and concerns that schools face in the United States are similar to those that occur in East Asian international schools. They want to know what to do about acceleration, they want to know how to offer their students a mathematics curriculum that will prepare them for a competitive university, and they want to know how to best communicate with parents about why memorizing mathematical facts is no longer good enough.